Putting Contest Insurance covers the cost of your selected prize and American Hole ‘n One assumes full responsibility should someone make the qualifying putt. A Putting Contest is a great way to entertain and interact with your golfers, generate additional sponsor revenue and create fundraising opportunities for your charity. The grand prize can be cash, a new car or vacation packages… the options are endless! If you choose a grand prize of $10,000 or greater, the lucky finalist(s) will be awarded for just qualifying. See how putting contest insurance works and partner with American Hole ‘n One for your next contest. Provide the number of golfers that will participate in the contest. Select the hole and distance for the putt. Determine the cash value of your prize. Your prize is covered and your putting contest sign will be delivered to the golf course or any other address of your choice. American Hole ‘n One offers all-inclusive Putting Contest Insurance packages with free shipping. Pricing varies based on 3 key factors: number of eligible players, distance of the shot, and the cash value of your prize. Need more information? Call (800) 822-2257 to speak with a Golf Excitement Specialist now! How Does Putting Insurance Work? As a tournament organizer, you’re constantly looking for new ways to excite golfers and generate buzz surrounding your event. One of the most exciting promotions at a golf tournament is a putting contest. There are a number of different ways you can set up your putting contest. You can have the golfers who were closest to the pin on all of the par 3’s get a chance to win the grand prize, have contestants register for the putting contest prior to the start of the tournament, or include it as a raffle item. Putting contests are the perfect way to get golfers excited at your tournament. Plus, sponsors will want to have the opportunity to put their name next to big prizes, creating different revenue streams for your event. With putting insurance from American Hole ‘n One, you can advertise big prizes, without the risks associated with running the contest. By securing putting contest coverage, if someone should win your putting contest, American Hole ‘n One will be responsible for paying out the prize. This is a cost-effective way to promote your next golf event and attract attention from sponsors, golfers, and attendees! When it comes to offering putting contest prizes, the possibilities are endless. Big cash prizes, trips for two, tickets to the Masters, golf equipment, cars, and boats are exciting putting contest insurance prizes that you can offer contestants. At American Hole ‘n One, we’ll help you create a customized prize package, which can include two or more unique prizes like golf equipment coupled with tickets to the Masters. As your partner, our Golf Excitement Specialist will walk you through the process and make prize recommendations that are sure to generate buzz. Our team of professionally trained Golf Excitement Specialists will walk you through the most comprehensive Putting Contest Insurance program in just minutes. Simply give us a call or request a quote online! When it comes to finding a putting contest insurance provider, trust American Hole ‘n One for all of your needs. With over 30 years of experience, we are an established and trusted partner in the business. Your coverage is underwritten by the strength of A+ rated Great American Insurance Group for your peace of mind. Plus, each of our professionally trained Golf Excitement Specialists will provide you with personalized attention, 24 hours a day, answering any questions you may have regarding your policy. In addition to providing comprehensive putting insurance coverage, we offer high-quality event signage with quick turnaround times. We can create professional looking banners, signs, and more with our cutting-edge equipment and materials, including our top-of-the-line four color digital printing press. As your commitment to you, we’ll help you create a putting contest that’s sure to impress event attendees, golfers, and sponsors. If you’re ready to start planning your next event’s putting contest and would like to learn more about our capabilities and service, get in touch with us today! 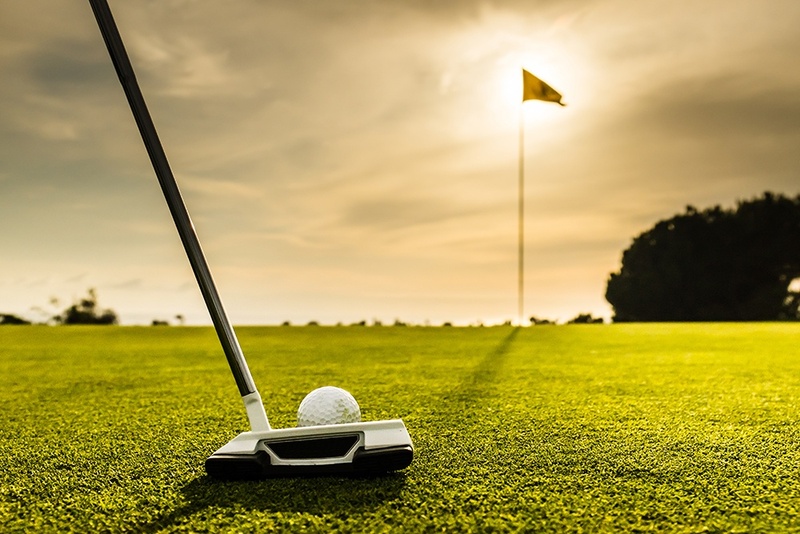 We’ll help you put a unique spin on your golf tournament with an exciting putting contest that’s sure to leave a lasting impression on guests and participants. Call our Golf Excitement Specialists to get a fast and easy quote.